Though Italy has sent us hundreds of sauces that perk up our pasta, in my opinion, there are six that will always stand out as eternal classics – Marinara, Carbonara, Aglio e Olio, Pesto, Norma and Amatriciana. Five of the six rely on one main ingredient, Tomatoes, Cream, Olive Oil, Basil or Eggplant. Amatriciana, my number one favorite, although primarily Tomato, also includes Onions, and a wonderful salt cured pork, Guanciale. 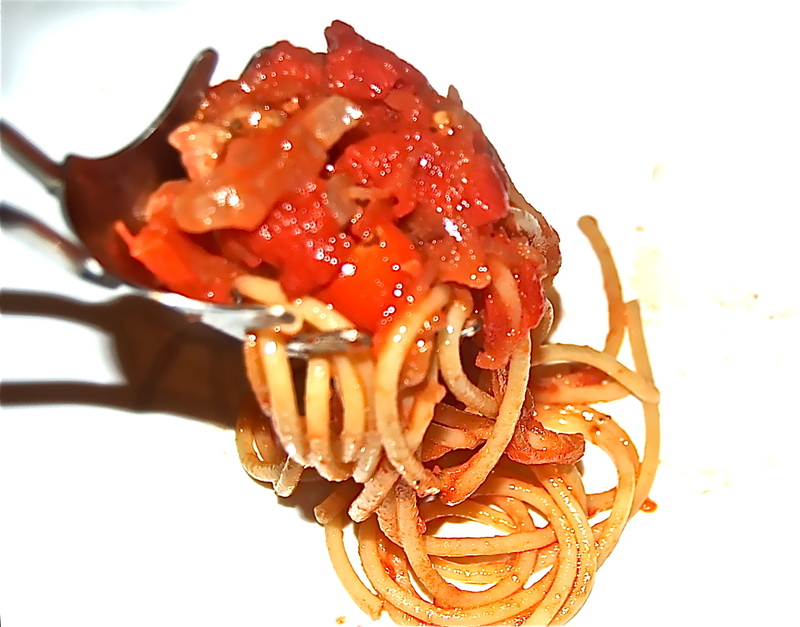 When the urge for pasta strikes, may I suggest you wrap your fork around any one of the six? 1. Bring a pot of water to a boil, add the Pasta. 2. Heat the EVOO in a deep sided skillet, add the Garlic & the Onion. Saute until they’re tender. Add the Guanciale or Pancetta, stirring the pieces until they’ve given off their fat & have begun to brown & be tenderized. 3. Add the drained Tomatoes, together with the Red Pepper Flakes. Saute, occasionally stirring, for 15 minutes until the sauce has concentrated & homogenized. 4. Drain the pasta, turn it into the skillet, & cook a minute more , stirring the Pasta to coat the strands. Season with Salt & Pepper, add the grated Pecorino & serve.